Whether you’re a lifelong Mainer or just looking to retire in the Pine Tree State, Maine has lots to offer retirees. If you like to stay active in the outdoors then Maine has tons of skiing, hiking, fishing, and more, to keep you busy all year long. If you’d rather be inside, Maine has numerous award-winning theaters, museums, and tons of great shopping across the state. Maine is also home to two casinos for those of you who prefer to roll the dice. 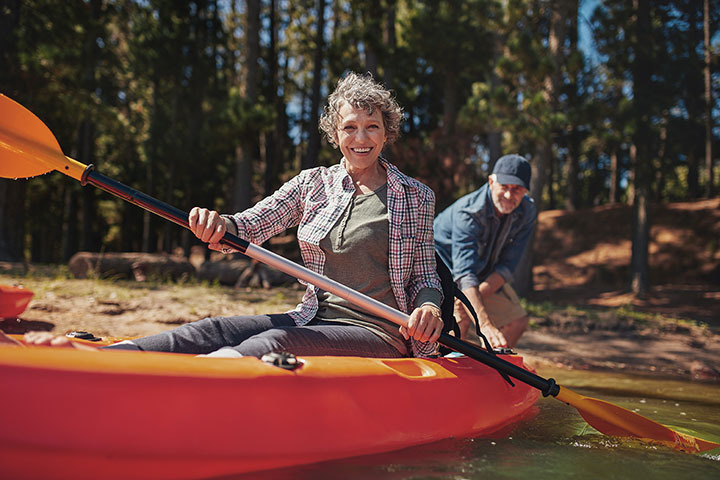 Here are the 10 best retirement activities in the state. Portland Stage is a professional, non-profit theater that puts on seven shows over the season for over 50,000 people annually. During the Christmas season, you’ll always find a seasonal favorite. Throughout the year, you’ll find plays with many offering afternoon manatees perfect for any retiree who wants to avoid the crowds. Golf is the ultimate retiree activity in every state. Maine has numerous beautiful golf courses scattered throughout the state, but Sunday River Golf Course tops the lists of many. Open seasonally from May through October, you don’t want to miss playing at this 18-hole public golf course nestled in the western mountains of Maine. As Maine’s newest casino, the Oxford Casino is popular with the retiree crowd. The casino offers a variety of gaming opportunities from slots to table games. If you’re a frequent gamer than you might want to sign up for their rewards club. Every Wednesday is Senior Day at Oxford Casino. Starting at 8 a.m. you have multiple chances to win prizes and you even get a free cookie. If you’re an outdoor lover then you’ll fall head over heels for the Moosehead Lake region. Wilsons on Moosehead Lake is the perfect destination to enjoy a whole host of activities. You can rent a boat, go fly fishing on the nearby streams, go hiking, or just relax in the hammock. The often offer midweek specials so it’s a great way for retirees to save some money and still have a blast. Shawnee Peak is family-friendly ski mountain at the foothills of the western mountains. Located just an hour from Portland, it’s a popular Maine ski mountain with a long history. With special senior lift tickets and midweek specials, Shawnee Peak is a great place to enjoy whizzing down a snowy mountain on skis. Bingo is about cliché as it gets when it comes to retiree fun, but when you can win real money then it’s serious business. Mainers love their bingo games and Maine is home to 54 bingo halls across the state. Bingo is fun for the whole family so it’s a great place to invite the grandkids or your friends to catch up and possibly win some cold hard cash. The Eastern Trail is a 65-mile section of the much longer East Coast Greenway. Stretching from Kittery to South Portland, the Eastern Trail offers a lot of opportunities to enjoy the beauty of Maine’s Great Outdoors. Open to runners, walkers, and bicyclists, it’s a great way to stay in shape without the traffic. With 17 Senior Colleges across the state and over 6,500 students, Maine Senior College offers intellectually stimulating non-credit college course for adults over 50 years-old. For just $35 a member and a small tuition for each course, you can keep your mind fresh and continue to be social. Choose from array of classes ranging from languages to history and politics to art. Freeport is not only home to L.L. Bean, but to tons of other outlet and boutique shops. If you love to shop then Freeport is the place to be. Start your Christmas shopping early with all the incredible deals you’ll find throughout the year. And if you ever get tired of retirement, you can always work at L.L. Bean! The Auburn Senior Activity Center offers a wide variety of social, recreational, health and wellness, and educational programs for adults over the age of 50 in the Greater Auburn area. Sign up for one-day trips or just a special luncheon celebration. There is always a mix of card and board games happening during social hour at the Senior Activity Center.